Everything about the FHA 203k Renovation Mortgage! Purchase or Refinance, this program allows you to roll the cost of rehabbing, remodeling, fixing up, improving your home into one home loan. The Grandfather of all renovation mortgage programs, having been around since the mid 1960s, I closed my first FHA 203k in 1998, all other renovation mortgage programs pretty much use the FHA 203k as their template. If I could advise all current and future home buyers one of my first recommendations would be to make sure you are aware of if not pre-approved for a renovation mortgage. Second, seek out a mortgage loan officer that is experienced and specializes in renovation mortgage. In today's housing market there is generally considered a very low inventory of 'acceptable' homes for sale. Houses for sale are much older because builder are just now getting back into building new homes after having left the market after the housing crash. Most houses need updating, need repairs, or simply need more to make that house your home. Have you seen homes that if only it had a bigger garage or even a garage at all, or the kitchen would be great if it had a new stove and appliances, or the bathroom needed updating, or the flooring needed replacing, or......whatever you can think of that would make your near perfect home perfect? That house may be your but home! The FHA 203k rehab loan may be your answer to turning that But House into your dream home. The FHA 203k rehab loan is a popular mortgage program designed for home buyers that want to finance the cost of home improvements into a new loan. When a homebuyer wants to purchase a house in need of repair, updating, modernization, or out right rehab, the homebuyer usually has to obtain financing first to purchase the house, additional financing after the first financing closes to do the rehabilitation work, and finally the permanent financing once all the work is completed to pay off the interim liens with a permanent mortgage. With the FHA 203k Renovation Mortgage the homebuyer can get just one mortgage, at a long term fixed rate, to finance both the purchase and the rehabilitation of the new home. The financing for this mortgage will include the purchase price, as well as the improvements which includes required repairs per FHA standards and/or the improvements you want to make, such as upgrade the kitchen, the bathroom, a new water heater, new flooring, etc. Repairs on a fixer upper can be expensive when you do them AFTER your mortgages closes, if you even have the cash on hand to get those repairs and improvements done immediately. The FHA 203k Renovation Mortgage allows borrowers to finance the improvements into the new loan vs. having to pay for the updates and repairs out of their savings or worse putting it on their credit cards. The FHA 203k Rehab/Renovation loan is designed for fixer uppers, home that are outdated, a little too small, sold as is, those houses that YOU can make into your Home. Home buyers and borrowers can qualify for a mortgage on a home that needs work and actually finance the construction costs labor/material up front. One single loan is used to pay for the purchase (or refinance) and cost of rehabilitation or updating of the home. If you can imagine it, more than likely it can be financed into a FHA 203k mortgage. Sometimes a new home simply may require some minor cosmetic work, like new flooring, upgrade a kitchen or bath, put on a new roof or install new energy efficient windows. Or it could be that you find a home that is the perfect price and location, but inside it needs a complete gut job. You like the shell of the house, or not, but want to blow out the walls to change the floor plans, need to add a floor, re-do the plumbing or electrical, really major stuff! Just maybe the bones of the house are terrific but it is just too small.....add a an extra room or even an entire new level! The FHA 203k Rehabilitation program is designed to address all of these circumstances and a lot more! One of the many great things about the FHA 203k mortgage is that this loan program is originated and underwritten just like the standard FHA mortgage program, if you can qualify for the standard FHA mortgage you can qualify for the FHA 203k program! You can purchase your soon to be perfect dream home with the same 3.5% down payment of a regular FHA loan, depending on your loan amount. Just like a normal FHA mortgage the seller can help you with the closing costs as well.....imagine getting your next new home with only a 3.5% investment. The FHA 203k has the most flexible credit guidelines of all the renovation mortgage programs, generally a 640 or higher middle credit score is required of all borrowers but at times a lower credit score can be approved. This is when an experienced and knowledgeable mortgage loan officer can be your best solution. The debt to income ratio is very flexible as well with the FHA 203k, I have worked with home buyers that have received approvals with debt to income ratios as high as 50%, far exceeding any other renovation mortgage program. There is no income restrictions to the FHA 203k but there are maximum mortgage restrictions depending on where you purchase your home. THERE ARE TWO DIFFERENT 203K PROGRAMS! Limited or Streamline FHA 203k Renovation Mortgage: you will hear this part of the FHA 203k renovation mortgage program referred to as the Streamline 203k but recently it was changed to the Limited FHA 203k. There are no minimum repair costs and the borrower must occupy the property. When you need 'limited' repairs that total less than $35,000 the Limited 203k may be what you want to consider. Non-structural updates, replacing carpeting or appliances, repainting the house, minor renovations, repair and/or replacement of HVAC, Electrical, and Plumbing, roofs, windows and doors. What you cannot use the Limited FHA 203k for; any renovation involving structural changes, like moving a loadbearing wall, or new construction, like adding a room. No landscaping or fencing or 'luxury' items like hot tubs, swimming pools, or tennis courts. If the work will cause the borrower to be displaced from the home for more than 15 days then you cannot use the Limited FHA 203k. A HUD Consultant is not required when utilizing the Limited FHA 203k but I highly recommend it. When the FHA 203k closes the new mortgage will be disbursed to pay off the seller of the home bought and the Rehabilitation Escrow Account will be established. Construction can begin immediately. 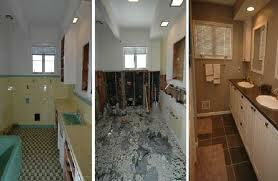 Depending on the type of improvements the homeowner has up to 6 months to complete, generally it is done much sooner. No more than two payments may be made to the General Contractor. The first payment is intended to defray material costs and shall not be more than 50% of the estimated costs of all repairs and improvements. The Lender can allow the first payment to cover for, and not exceed, actual required contractor deposits, building permits, and/or the cost of building material incurred prior to construction. Before the final disbursement is made, the borrower must sign a statement acknowledging that the work has been completed in a workmanlike and satisfactory manner. The lender will require a 3rd party acknowledgement as well, generally this can be done through an Appraiser. I prefer that a HUD Consultant who is trained and experienced with the FHA 203k conduct this work on your behalf. The Standard FHA 203k Renovation Mortgage: this is the most used renovation mortgage available, the most popular. The Standard FHA 203k is an all-in-one mortgage used when renovation costs exceed $35,000 (but can be use when less that $35,000) there is structural work or landscaping involved in the repair, improvement, renovation of a home. I have used the Standard FHA 203k for improvements that we near to the Limited but there were some slight structural work, I have used the program to completely demolish an existing home down to the foundation and rebuilt a new home. A portion of the mortgage is used to pay the seller of a home bought or if a refinance to pay off the existing mortgage, the FHA 203k is a first mortgage program and cannot be in second lien position subordinate to any other mortgages. The remaining funds after paying off the seller and/or previous mortgage are place in a Repair Escrow Account and released to the General Contractor as work is completed. The #1 best feature of the Standard FHA 203k is; you may roll into the mortgage up to 6 months of new mortgage payments if the HUD Consultant determines you will be displaced from the house during the repairs. These payments then are used to make your house payment for you at the beginning of the new mortgage. Keep in mind that after all construction is completed if there is a remaining balance in the Repair Escrow Account that remaining balance will be applied to pay down the principal balance of the mortgage. A HUD Consultant that is FHA 203k Approved must be used with all Standard FHA 203k mortgages. The HUD Consultant will be very helpful to you, the General Contractor, and the Lender as they will assist in determining the scope of work as well as the budget and estimates. Once the project has been determined the HUD Consultant will give a "specification of repairs" plan that will detail the work to be completed and the associated costs. This information is provided to you and the lender as well as the Appraiser to help determine the After Completion Value of the house. The HUD Consultant will also carry out the work necessary for draw disbursements and all inspections needed to authorize the payments to your General Contractor. Basically, they are involved in the process from the start to the completion of the work to help answer questions, help through the construction process, and verify that all work is completed satisfactorily and as stated in the estimate and Work Write Up and that the home in the end meets HUD's minimum standards as well as yours. The home owner has up to 6 months to have all work completed, it can be less and under some circumstances extension can be provided. But, the program is set up to insure that work is started quickly and that the work will be completely as soon as possible by the General Contractor. As work progresses on the house funds in the Repair Escrow Account are released only after the work is inspected by the HUD Consultant. A maximum of 5 draws are allowed, but there is no initial draw at the time the loan closes. Draw amounts can vary in timing and amount and are based on the work performed and completed at the time of a draw request. Disbursements/draws are made as each phase of the project is completed based on the paperwork provided by the HUD Consultant. Inspections are required prior to each disbursement. A 10% holdback is required on each draw and held until the final draw and inspection is completed. There is also a Contingency Fee required on all Standard FHA 203k mortgage and highly recommended on Limited FHA 203k mortgages. The contingency fee is a percentage of the final determined amount of costs of work to be performed and is added into the renovation costs. The contingency fee is used as an incentive to insure all work is completed and to cover health, safety, and unplanned issues that might arise during construction. The percentage can range from a minimum of 10% to 20% of the initial cost estimates, a home that is uninhabited at the time of purchase will require a 15% contingency fee, but most times only a 10% contingency is required. Keep in mind that any funds not used or left over after work is completed in the Repair Escrow Account will be applied to the mortgage to reduce the loan amount. Contractor Requirements: borrowers must use contractors to complete the rehab, I highly recommend only one GENERAL CONTRACTOR and allow for sub-contractors to work under the General Contractor. This helps immensely with draws, there is less confusion, and scheduling is easier. What this means is self contractor or the borrower acting as the General Contractor is not allow by the FHA 203k, can provide documented proof of ability to perform and complete the work required. Also, there are guidelines in the program not to allow for arms length contractor involved, meaning close relations cannot be the General Contractor. If this is your situation, where you want to do the work or a close relative, contact me to discuss. I have work with the FHA 203k for a couple decades, it may be possible to work this type of situation to a resolution. Eligible Properties: to be eligible the property must be a one to four family dwelling that has been completed for at least one year. In addition to typical rehabilitation projects, the FHA 203k can be used to CONVERT a single family dwelling to a tw0, three or four family dwelling. An existing multi unit dwelling can be DECREASED to a one to four family unit property. Keep in mind that with multi-unit properties the owner of the property must reside in one of the units as their primary residence. The other units can be used as rental properties, proceeds from the FHA 203k can be used for both the primary residence unit AND the rental units. The FHA 203k can also be used for Condominiums and Mixed Used Properties. The condominium must be on the FHA Approved Condo list and repairs are limited to the interior only of the condo. With a mixed use property there are percentage of commercial usage requirements depending on the building type. How Can This Program Be Use? The FHA 203k can be used to accomplish rehabilitation, improvement, renovation of an existing one to four unit dwelling in one of three ways. First, to purchase a home and rehabilitate it. Second, to purchase a dwelling on another site, move it onto a new foundation and rehabilitate it. Third, to refinance an existing mortgage and rehabilitate the home. Purchase: the maximum mortgage amount is based on the lesser of 1) or 2) multiplied by 96.5%...1) the As Is Value or the Purchase Price of the property before rehabilitation, whichever is less, plus the estimated cost of rehabilitation or 2) 110% of the After Completed Valuation of the property. 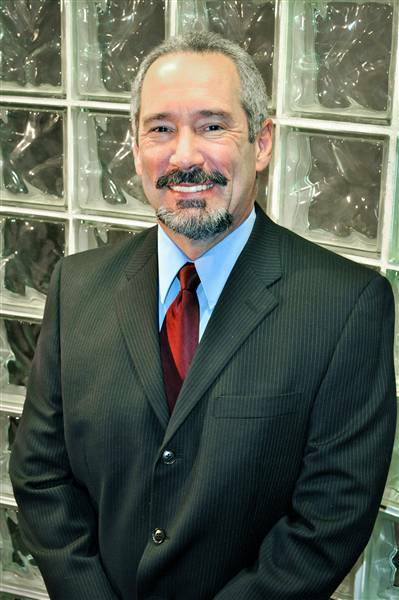 My name is Bob Rutledge and I specialize in renovation mortgages, I am a Certified Renovation Mortgage Specialist, and I close renovation mortgages every month. Most mortgage lenders cannot say that. I have the ability to close FHA 203k and HomeStyle Renovation loans all over the State of Missouri, quickly, easily and with far less stress. I have worked with home buyers and owners not only in St. Louis and the surrounding area, but in Kansas City, Springfield, Cape Girardeau, Columbia, Sikeston and other towns in Missouri. I am also licensed to close renovation mortgages in Texas, Ohio, Florida, and Illinois. We are licensed in 48 states and many of the United States territories. If I cannot help you with your renovation mortgage needs I can refer you to someone that I trust. that will help you. If you need help with a renovation mortgage, have questions or would like to apply for a renovation mortgage please free to contact me. Email me at FHA203kbob@gmail.com or call me directly or use the form below Fill out my Wufoo form!